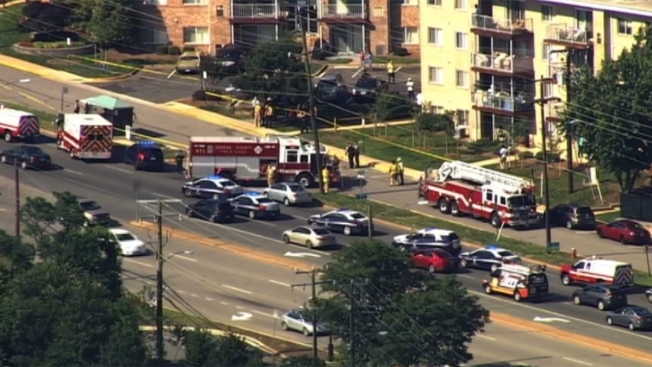 One person has been killed in a crash involving a truck and a motorcycle Friday afternoon in Fairfax County, Virginia. Authorities said earlier that two adults and a child were injured in the crash, which happened about 4:45 p.m. on northbound Richmond Highway (Route 1) at Hollyhill Road in the Hybla Valley neighborhood. A medivac helicopter was called to the scene to take the motorcyclist to a hospital. Witnesses told police the motorcycle driver was speeding when the truck made a left turn and the motorcycle hit the truck head-on. The motorcycle driver was thrown off the bike, police said. Three passengers in the truck were taken to the hospital with non-life threatening injuries. Richmond Highway was closed while police investigated the crash. The road has since reopened.